Want to impress your customers? You should not only look good with table linen, uniforms, culinary apparel and matching aprons for your employee’s, your floors should make a statement. 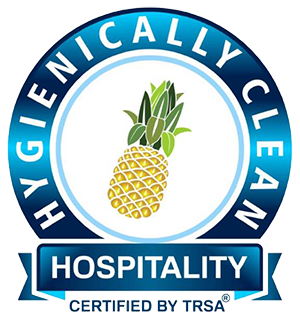 Braun Linen Service offers your restaurant a fresh appearance and helps you protect your floors with industrial mats or logo mats that helps stop dirt. 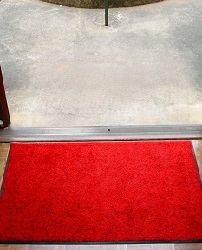 The industrial carpeted floor mats are a popular and economical way to tie your ensemble together. Braun Linen Service has a wide variety of rental mats that will fit your needs. 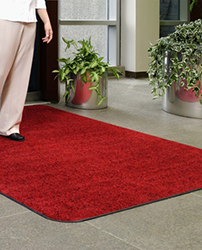 These mats have a 100% Nitrile Rubber backing to help reduce floor mat movement available in different styles and colors. 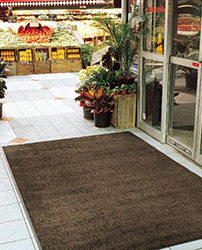 Floor mats are recommended for hard surfaced floors and carpets surface floors. 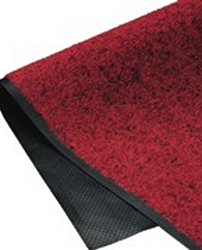 Mats should be professionally laundered to prevent mildew, remove stains and prolong the life of the mats. On a weekly base one of our qualified team members will deliver clean mats. 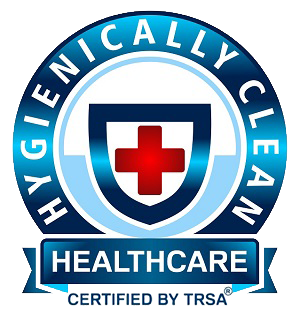 We have the knowledge and resources to keep your environment clean and safer. 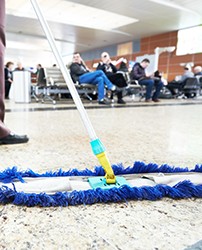 Braun Linen Service can provide you with heavy duty mops that will help you clean up spills and make your floors shine. 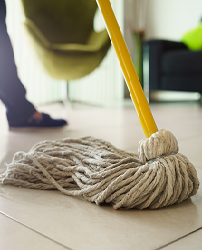 The maintenance on commercial grade mops is significant. Our rental program is designed to help eliminate up front cost, storage space and the head aches of laundering your own linens every day. Our linen rental program allows us to stock, commercially launder, press, replace and mend all your garments. This linen rental program is designed for convenience and cost efficiency. We will work with you to develop a program that fits your needs at a low weekly cost. At Braun Linen Service, we understand how important it is for you to make a good impression on your customers. Our rental service program is cost effective, time saving tool that will help you in your day to day operations. Delegating your linen service to Braun Linen Service will enable you to focus on the things that make you money. You already have enough on your plate, just drop it in the bag and will do the rest.